Just as we have students who struggles. We can struggle to teach certain content standards. We can struggle to find the very best way to approach the skill to the students. We can struggle to manage a classroom of rowdy students. We can struggle to pace our lessons and get everything covered. It's totally understandable to hit roadblocks along our career paths. When that happens, what can principals do to help teachers succeed and overcome these obstacles? One of the best things about life is that we have the opportunity to always learn and grow. There is always room for improvement in everyone, including myself. Education is always changing. We discover new ways of teaching. We have new programs being implemented. We have new standards and accountability. The list just goes on and on. There is no way to know it all or a single way to focus on everything at once. The best way to tackle it is to set goals. Principals need to help teachers narrow down or fine tune their needs. Assist teachers in discovering areas of strengths and weaknesses. It could be as simple as fine tuning teaching strategies or as in depth as an overhaul of classroom management. Visit the classroom and look for evidence related to that goal and provide feedback. The feedback should be directly related to the goal. Setting the goals on paper is great for accountability. A principal's most important role is instructional leader. 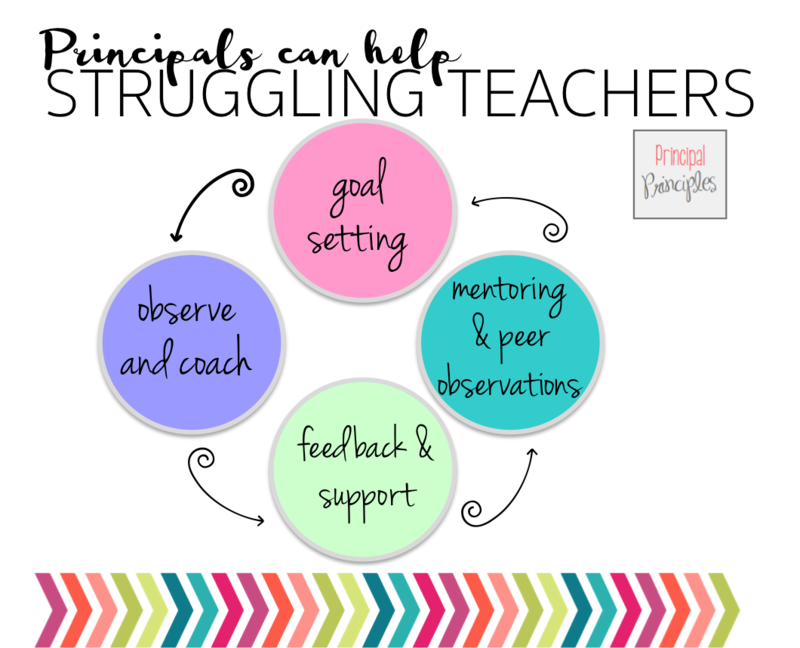 Coaching and mentoring is a powerful and effective option for teachers. We all know evaluations and observations are necessary parts of our positions. Coaching should be equally important. They should go hand-in-hand. Instead of principals "telling teachers what to do," we need to move toward a collaborative process of reflecting. We can help teachers identify ways to strengthen their lessons. Coaching helps teachers move toward where they are to where they want to be. Set the goals and help them achieve their goal through coaching. After an evaluation or observation, what is your process for providing feedback? Is it an efficient system that benefits the teacher? Effective feedback is always immediate. As adults, we still need that affirmation of our performance. It's human nature. Feedback also needs to be threat free. A positive campus culture will help shape these conversations. Set and send a positive message on campus. The best leaders all have one thing in common- They develop and support teachers in their schools. New and struggling teachers need mentors. We need to establish those mentors at the beginning of each year. A campus culture of collaborative learning shouldn't just be set but be expected. Just as students learn from each other- teachers can learn from each other. Another teacher's classroom helps create a secure and nurturing environment for peer collaboration and instructional success. When the campus culture is that of learning and development, our teachers will feel success. When our teachers feel success, our students benefit. It's a win-win.